Citizens of a high-tech metropolis demand the most modern commuter train system in the world! The mayor hires several companies to build the network as a joint project, including yours! Naturally, you’re trying to take the most credit for the network’s success. 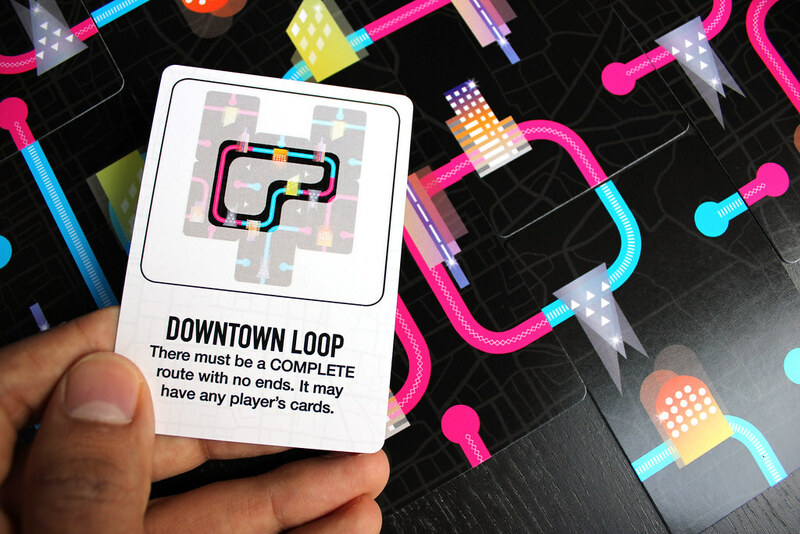 Complete routes with a variety of buildings to earn credit! Achieve your secret objectives to win extra credit at the end of the game. The player with the most credit wins! The goal of play is to score credit from complete routes in which you have the majority of segments. 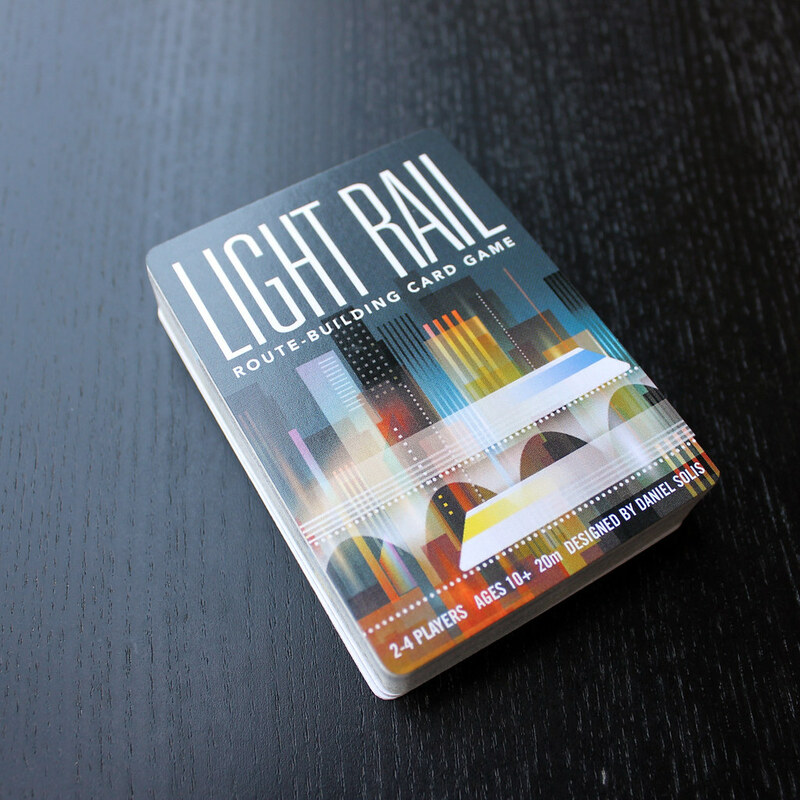 Each player has their own color-coded deck of rail cards which will be placed in a staggered pattern as shown above. 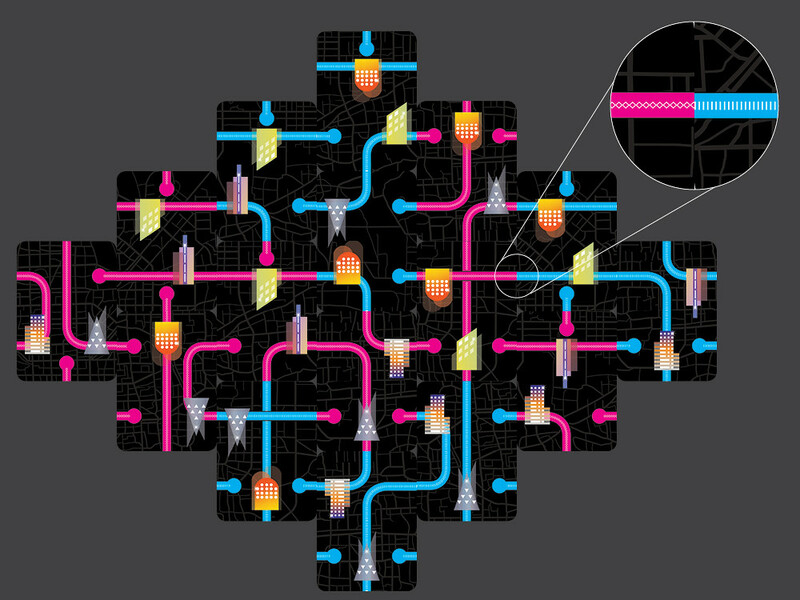 Routes are also coded with unique patterns to aid color-blind players. 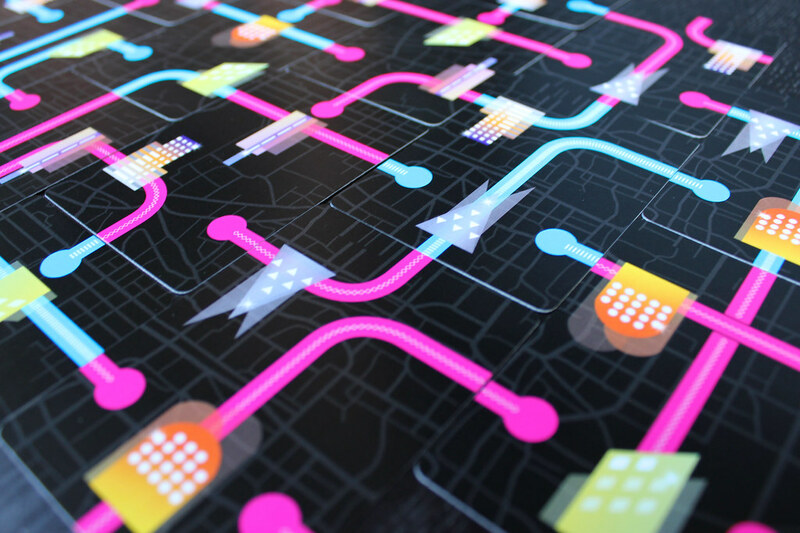 Close-up of a game in progress. Each player is randomly dealt secret objectives. If these objectives are met at the end of the game, that player scores extra credit!